If the life sciences sector is your jam and healthcare commercial strategy work gets you out of bed in the morning, you need to seriously consider joining IMS Consulting Group (IMSCG). A subsidiary of IMS Health – long a major player in the healthcare information services game, IMS Consulting Group was founded in 2011 as a way for IMS Health to consolidate its already sizable consulting services under one roof. Quickly expanding in emerging markets around the globe, IMS offers truly global project work, while staying focused in only 3 main practice areas. Over the past 5 years, IMS has continued to establish itself as a player to be noticed in the healthcare consulting niche. We began paying attention to IMS a couple of years ago, and now it’s time to see what sets IMS Consulting Group apart and if it could be the right fit for you. In 1954, Bill Frohlich, and David Dubow teamed up to form IMS, a market research company aimed at enabling organizations to make informed, strategic decisions about the marketplace. In 15 short years, IMS was held as the gold standard in pharmaceutical market research in Europe and Asia. The next year, in 1970, IMS Health expanded to Latin America. Between 1973-1979, IMS acquired multiple companies to expands its competencies. IMS experienced a major breakthrough in 1979 when the company introduced the Multinational Integrated Data Analysis (MIDAS) system. 1988 brought a major change when D&B acquired IMS Health for nearly $1.7B. By 1998, IMS Health was an independent, NYSE-listed public company. IMS Consulting Group was born in 2011. IMS Consulting Group’s day-to-day operations are run by Ari Bousbib, Managing Partner. The firm is headquartered in New York City. IMS Consulting Group does require you to choose a practice area to specialize in, so if you value diversity of work or get bored easily, this is a major drawback to consider before applying at the firm. IMS is a highly specialized firm, focusing only on these 3 specific practice areas within the life sciences and healthcare sectors. Still, these are two of the sexiest and most exciting industries to consult for, with a wide variety of companies falling within the parameters of life sciences and healthcare. IMS counted over 150 unique clients in 2014 and offers projects which are truly global in scale. When networking at IMS, make sure you connect with someone in the particular working group you are interested in being a part of, as this will help you the most in landing in your preferred practice area. IMS Consulting Group specializes in working with clients in the Life Sciences and Healthcare sectors. Again, while these segments are arguably some of the largest in the business, the limitation may admittedly get a little boring after a while and is a common reason young consultants decide to move on from the firm. Still, the depth of expertise IMS Consulting Group brings to the table in the industries it works in allows it to beat out firms like McKinsey and Deloitte for projects. IMS Consulting Group has local offices in over 20 locations on 3 continents. However, IMS Consulting Group’s largest presence is in the United States, United Kingdom, and China. For those of you ineligible to work in the United States, IMS is one of the easier firms to break in to due to its amount of offices spread out all over the world. Or inversely, if you are a U.S. citizen looking to live and work abroad, IMS offers a plethora of opportunities for you as well. One thing to keep this in mind as you are applying for positions is the fact that you will be staffed on projects with consultants from other global offices, and so will be racking up the air miles in short order at IMS. Because of the singular practice area focus at IMS Consulting Group, you can expect to be involved in many similar kinds of projects and become an expert in your issue area. Expect it to take about 1-2 years each to move from Analyst to Associate Consultant to Consultant to Senior Consultant. You can count on around 3-4 years to get to the Engagement Manager level, and another 4-5 to get to Principal. Still, if you launch your career at 25 you’re looking at Principal before you’re 40 – well played! Undergrads and MBAs enter at the Analyst level, while Ph.D./postdocs/experienced hires enter at the Associate Consultant level. Exit opportunities to more general consulting are not plentiful from IMS Consulting Group. Because of the specific nature of your work, you will not be an attractive candidate to purely strategy practices. However, if you want to keep the healthcare focus and move to a larger firm, you’ll find plentiful opportunities. One drawback you may find, however, is that IMS Consulting Group is not well known to large brand-name firms. On the flip side, it is quite easy to make the jump into almost any industry from IMS Consulting Group, and especially into Fortune 500 biotech and pharma firms. With your contacts and experience, as well as an in-depth knowledge of the industry, brand and commercial strategy, strategy and portfolio analysis, and more, every company in the industry will find you an asset. Many ex-IMS Consulting Group consultants exit into parent company IMS Health. You have a wide range of opportunities to pick from in such a large company, and the jump is easier when you are already an internal employee. As with full-time positions, you will specialize in one practice area during your internship. Be prepared for this going in, and realize that if you don’t like the practice area you choose, chances are you won’t get a return offer for another practice area. Why? The firm is small and internally loyal – poaching talent from one group to haul it over to another is frowned upon. Intern pay and training at IMS Consulting Group are on par with other consulting firms, and prior interns have found it a good foot in the door for landing permanent positions. As with most smaller firms, IMS Consulting Group makes an investment in hiring and training interns – if you’re good, they would love for you to stick around! The general consensus is this: if you are into life sciences, working for IMS Consulting Group is a great choice. Why? Because of the firm’s position in the market, you are provided with the unique opportunity to engage with real-life problems and use both the data available to you and your expertise to deliver cutting-edge solutions to major clients in the pharma/biotech/life sciences sector. You will be exposed to broad and deep international healthcare experience, as you will be working with industry-leading clients – current employees love the fact that they are never bored, as the work is constantly interesting and challenging. Not only do you get to work on interesting projects, you get to work with interesting people. IMS Consulting Group has gained a rep for attracting great, fun and dynamic (and some say good looking) people who create a collegial, collaborative, and fun-loving environment – perfect for working (and playing) hard. In addition, IMS Consulting Group has no barriers to career progression – you get to determine how quickly you progress and the level of responsibility you take on. If you are an independent, self-driven careerist, then this is the place for you! Travel is a big part of the equation at IMS Consulting Group, and you will be traveling just as much as consultants at the MBB level. Just be prepared for this going in. While office culture is very friendly and collaborative, you will have to be very intentional about building meaningful connections with your fellow team members. However, below industry-standard compensation is a big complaint of many of the current and former employees of IMS Consulting Group. In addition, IMS Consulting Group is a lesser known name in the consulting sphere, which hurts your chances of transitioning into the MBB firms if that is where you hope to land someday. Some employees have also mentioned that pharmaceutical clients have poor industry knowledge and that this makes working with the client more challenging on a day-to-day basis. Finally, at IMS Consulting Group, the firm bills by the hour and not by the project, so the work/life balance can be quite out of whack during busy times (but this is true for any firm). At firms that bill by the project, you can learn how to work smarter rather than harder and improve your work/life balance considerably. However, at firms like IMS Consulting Group, you’ll have to put your time in at the office no matter what. We don’t endorse one way over the other, but this is also just something to be aware of. Confidentiality – Due to the sensitive nature of the information the firm works with, IMS Consulting Group strives to maintain confidentiality in all areas of work such as when handling individual patient medical records. Environment, Health, and Safety – The company ensure that their practice and business is in harmony and enhances the environment around them. The typical hiring process from application to offer will vary largely depending upon the position that you are applying for, but you can expect the timeline to take anywhere from 2-12 weeks. 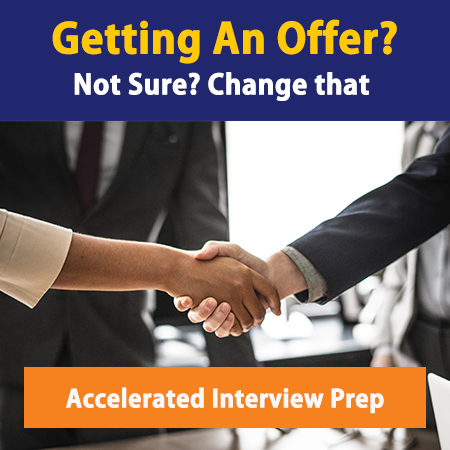 Be prepared for 1-2 rounds of interviews, the first of which may consist of connecting with a recruiter for a phone screen. This is where you make your elevator pitch to give a good overall picture of who you are – and make sure you specify an interest in a particular practice area. There are three main ways you can land an interview at IMS Consulting Group: through on-campus recruiting, an online application, or through employee referral. We were surprised to find that the highest number of applicants go through the online system, followed closely by on-campus applicants. Your first round interview will generally be held over the phone; expect it to last around 45 minutes. 30 of those minutes will consist of behavioral questions – your fit with the company. Be ready to answer questions such as “Why IMS Consulting Group?“, “Why healthcare?“, and “Walk me through your resume“. In the remaining 15 minutes, you will be given a case to solve – almost exclusively focused on the life sciences, pharma, or healthcare industries. Interview final rounds are always held on location and take anywhere from 3 to 4 hours. Your final round will be comprised of 3 interviews: 2 case interviews and 1 fit interview. One of the cases will be a standard verbal case where you ad hoc as your interviewer presents the case to you. The other case is much trickier: you are provided with pages of information and data to start off, and then allocated 45 minutes to prepare a specific answer to the question they are asking. Once the 45 minutes is up, you’ll be tasked with presenting your findings to your interviewer. At the very end, there are usually more behavioral questions, including those such as “Why Consulting?” and “Where do you see your career in 5 years?“, so make sure you prepare your answers with a personal twist. Networking your way into a position at IMS Consulting Group is not hard to do if you’ve got the right education and experience. First of all, the firm hosts info sessions and career fairs at dozens of schools across the US. Access their events calendar to find out when and where you can network with someone from the firm and make sure you have your consulting-ready resume ready to leave with them. Secondly, set up your LinkedIn profile and search for IMS Consulting Group employees in your network. LinkedIn shows around 500 IMS Consulting Group employees, so it’s possible you know someone who knows someone who knows someone at IMS. For tips on planning your approach and delivering your elevator pitch, read The Networking Bible. Our takeaway? IMS Consulting Group is a great fit if you desire to work in an enviable work culture, are interested in undertaking large amounts of responsibility in a short amount of time (having real client impact), and love being in the pharmaceutical industry. If you are looking beyond pharma and want to make oodles of cash, this is not the place for you. Are you an undergrad, MBA or intern who’s interested in working at IMS Consulting Group, but don’t know how much you’ll make? Check out our latest Management Consulting Salaries post to find out! Although diversity is a major focus of IMS Consulting Group, there are no specific diversity groups within the firm.